May | 2015 | Read.Write.Discuss.Repeat. You don’t have to be a fantastic hero to do certain things to compete. You can just be an ordinary person, sufficiently motivated to reach challenging goals. Words to live by I’d say. All the cheers I can muster for showing me this quote Don Charisma. My week in pictures. Well, some of it anyway. I just thought that I don’t share a lot of pictures via my blog so I’ve decided to change that. Here’s a few from the last week. 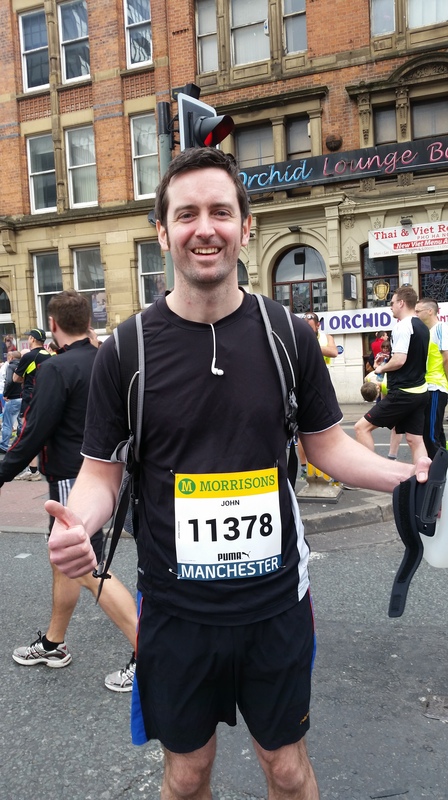 Well, mostly Sunday when I did the Manchester 10k run. Waiting for the warm-up to start for the Manchester 10k. Third year running. 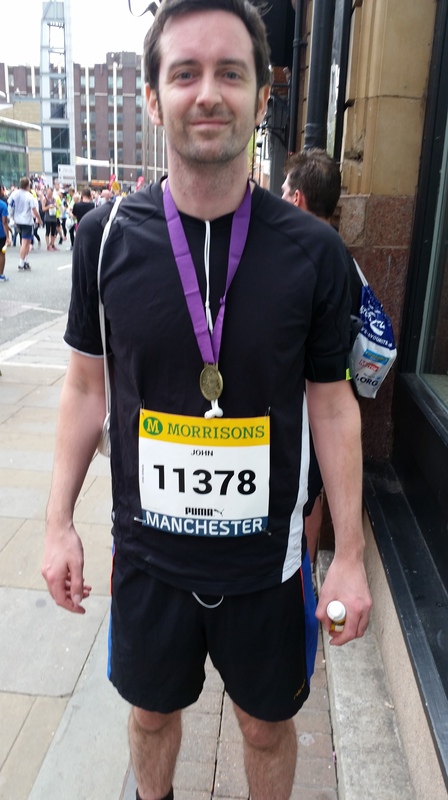 Me after the Manchester 10k. My time…49.09. Well chuffed as the year before I did it in 54.00. Me and my mate Ed after the race. We had a bet that whoever lost would buy the winner a trophy. I won. But I’m scared of what I’ll end up with now. 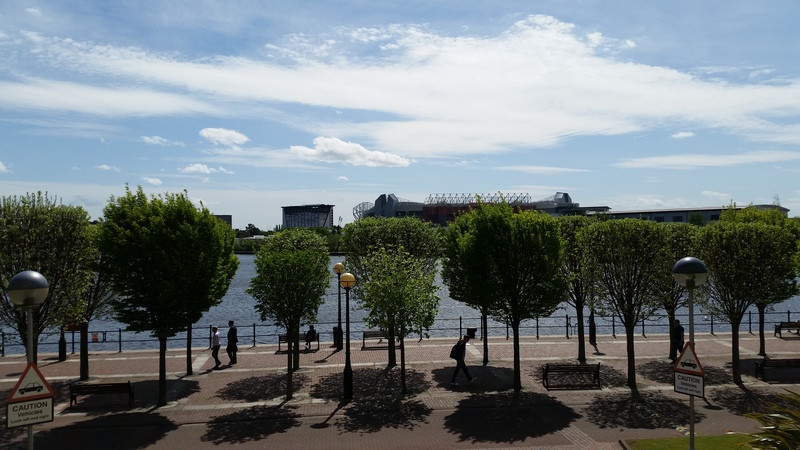 A view of Old Trafford from Salford Quays in Greater Manchester. The Training and the Writing combined. 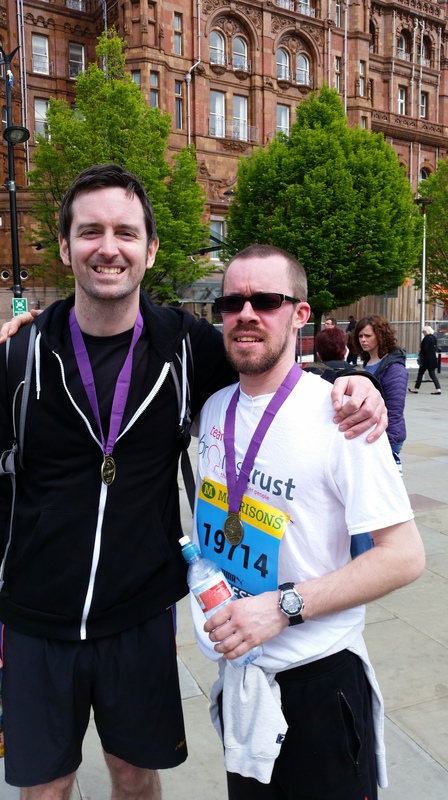 My training for the Manchester 10k run on Sunday 10th May (https://www.greatrun.org/great-manchester-run) is going very well. I’m quietly confident I can improve on my time from last year of 54mins. I also have the added incentive that if I don’t beat my friend then I have buy him a trophy. I think this has made me run just that little bit faster considering I know how he can pull these things out of the bag. I don’t think he’s done a lot of running recently but I bet his best run ever will be on Sunday. Here’s hoping my training will pay off. Along with my training, I’ve been moving along with my writing and editing. I’ve taken up walking to work to help pay for a holiday to New York, which is at the end of June. This ends up leaving me, after walking to and from work at a total of 100 minutes, with the overwhelming sense of ‘can’t be arsed’ mode when I get home. I’m moving myself, albeit at a slow pace, away from this and have been editing and writing whilst tired. I was worried that my tiredness would make me write and/or edit below my own standard and I’d have to do it all over again. Meaning I’ve wasted my time. But my editing is coming along well. I’ve got till the end of June but I’m hoping to get it done by the end of May and get my story entered into the http://www.britishfantasysociety.org/the-bfs-short-story-competition-2015/. My current story that I’m writing has also been moving along nicely and I’ve written my first action scene. Now, you must understand that as I huge fan of westerns I am almost always dreaming up of shoot outs and action sequences based in that genre. But somehow, when I came to write my first ever shoot out, it’s was something completely new. Something I have never thought of before. And something I am now quite proud of. I have always thought the way a cowboy would introduce himself in a film or book would be in his first shoot out. Showing the world, or in this case the small town, exactly what he is made of when it came down to defending himself. In my hero’s first gun fight he’s defending the honour of a horse and in turn standing up for the whole town, who have wanted to do such a thing for years. A henchman to the main villain, named Bronco, is scaring a horse by shooting at its legs. Cue our hero to save the day by showing him exactly how good of a shot he is. This is first act that will set up the rest of the story. I’m looking to push the pace faster and faster from here and build up to an almighty showdown involving everyone who is able to fire a gun in the town. I may even include the women. It could turn into the western equivalent of a Royal Rumble or a Battle Royal. Or possibly Battle Royale? I’m not sure. But as always I’ll keep you informed.